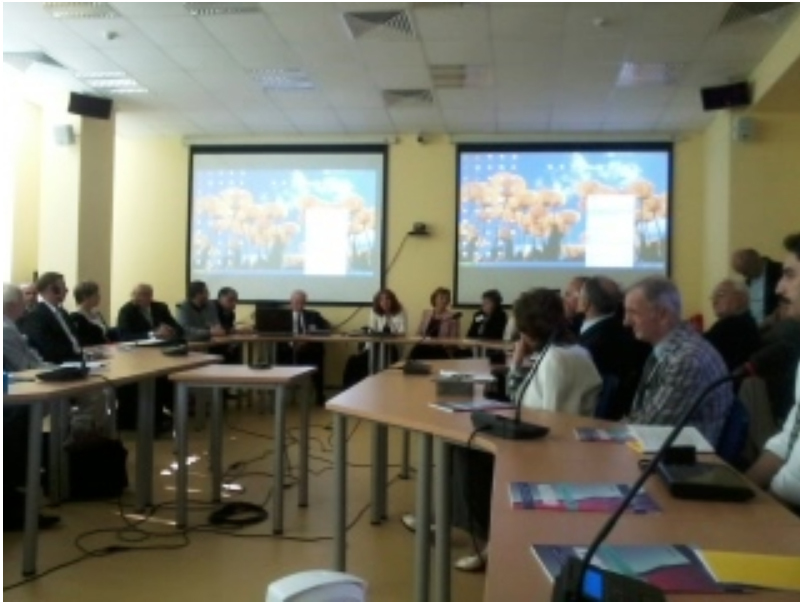 The first CEEPUS Network on Tribology "Modern Trends in Education and Research on Mechanical Systems - Bridging Reliability, Quality and Tribology"
CEEPUS is an acronym for "Central European Exchange Program for University Studies". Current member countries: Albania, Austria, Bosnia and Herzegovina, Bulgaria, Croatia, the Czech Republic, Hungary, Macedonia, Moldova, Montenegro, Poland, Prishtina/Kosovo, Romania, Serbia, the Slovak Republic and Slovenia. The main activity of CEEPUS are university networks operating joint programs ideally leading to Joint Degrees, esp. Joint Doctoral Programs. CEEPUS covers mobility grants for students and teachers in this framework. With CEEPUS, there is no transfer of funds: There is an internal currency of "1 scholarship month" instead. Each country pays its INCOMING students and teachers and has to pledge at least 100 scholarship months per academic year. The CEEPUS Agreement also specifies that these grants be comprehensive grants linked to the local cost of living. Promote cooperation in the framework of the EUSDR. 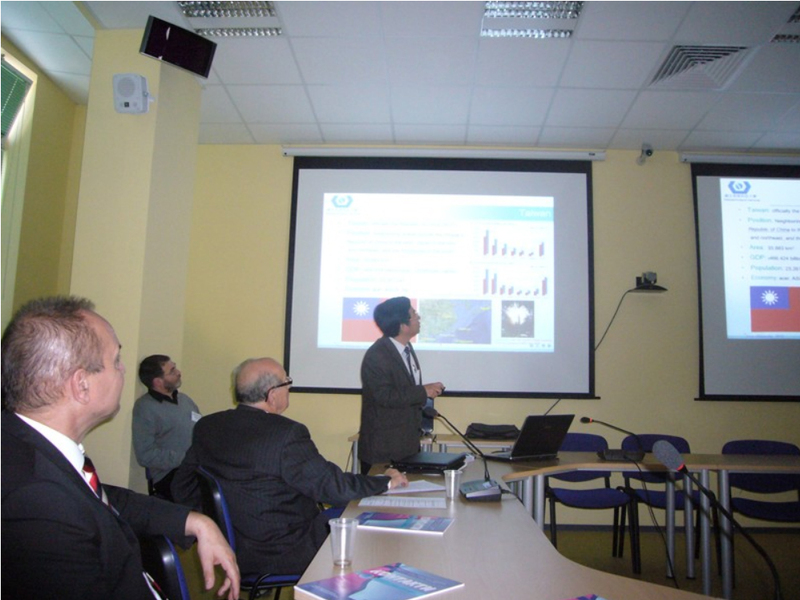 The first CEEPUS Network on Tribology CIII-BG-0703-01-1213 "Modern Trends in Education and Research on Mechanical Systems - Bridging Reliability, Quality and Tribology" was proposed in January 2012 and accepted in May 2012. 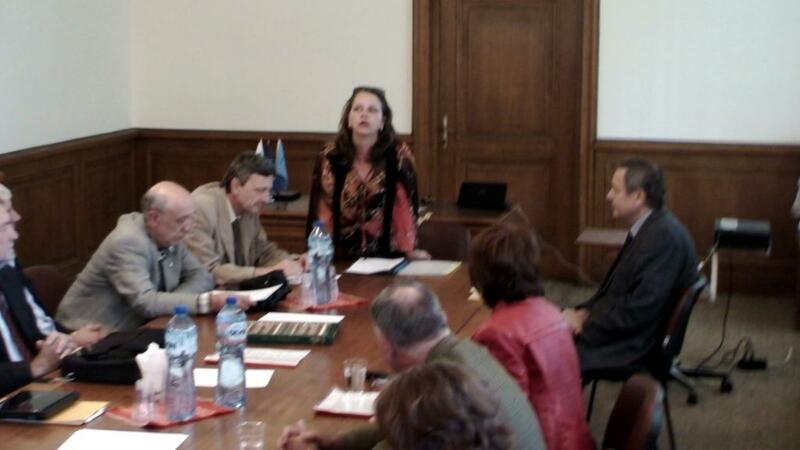 The project is implemented within the CEEPUS program with finansial support from each of the participating countries. Department of Applied Mechanics, Prof. D. Juliana Javorova. 10 European countries: Austria, Bosnia & Herzegovina, Bulgaria, Croatia, Hungary, Moldova, Poland, Romania, Serbia, Slovakia, participate in the Project. There is an increasing and continuous need for improved methods of determining the reliability and predicting the lifetime and quality of elements, machines and production systems more accurately. The Project deals with the role of tribology in the large and complex scope of reliability engineering and the different tribology-related methods to improve reliability and quality, such as reliability design, component lifetime, condition monitoring, diagnostics. To be of value for reliability and quality estimations, the tribological data should be expressed in terms of endurance life and probability of failure. Tribological effects are today expressed on different geometrical scales, all the way from nanotribology even up to the macroscopic scales of the human perception. What is the key to improved reliability and quality? Machinery and mechanical equipment can break down for a large variety of reasons, and frequently the tribological components, i.e. bearings, gears, seals, couplings, etc. are the source of the problem. The tribological components in a machine can be compared with the fuses in electrical equipment; when anything goes wrong, the fuse melts, it is put out of service and can be replaced. Unfortunately, unlike electrical fuses, the bearings and gears are not quick and easy to repair, nor, by melting, do they necessarily protect the rest of the machine. For example, a failed bearing can result in complete destruction of a whole gearbox or a whole machine. With tribological components, when they fail it is tempting to merely repair or replace the component, but if the underlying cause of the failure was not the component itself then the problem is will recur. The reason why tribological components tend to fail before other parts of the machine, can be readily understood by thinking about their function. A bearing is required to carry a substantial load, while allowing e.g. rotary motion with very low friction. Typical friction coefficients for continuously rotating bearings are 0.01 or less. It does not require very much to go wrong to cause this friction coefficient to rise by a factor of 10 or more. When this happens, there is suddenly a large amount of heat generated in the bearing, leading to melting and destruction of surrounding materials. The cause may be something quite small: dirt or water in the oil; external shock loads and vibration; or thermal distortions during warm-up, are just some possibilities. One of the tasks of tribology is to study and find the advantages from a full investigation of industrial failures, and using tribological knowledge and understanding to establish the causes and the ways of healing them. It is frequently possible to improve reliability and quality substantially by not so complex procedures, once the real cause of the mechanism of the failure is revealed and understood. An illustration can be given in the following consideration. What is wear? The tribological interactions of a solid surface's exposed face with interfacing materials and environment results in loss of material from the surface. The process leading to loss of material is known as wear, one of the most menacing tribological processes. Major types of wear include abrasion, friction, erosion, corrosion. Wear can be minimized by modifying the surface properties of solids by one or more of surface engineering processes or by use of lubricants. Estimated direct and consequential annual loss to industries in the USA due to wear is approximately 1-2% of GDP. Engineered surfaces extend the working life of both original and recycled and resurfaced equipments, thus saving large sums of money and leading to conservation of material, energy and the environment. Methodologies to minimize wear include systematic approaches to diagnose the wear and to prescribe appropriate solutions. Important methods are: the systems approach, where appropriate material is selected by checking properties against tribological requirements under operating environment; the multidisciplinary engineering and management techniques used to protect equipment and machinery from degradation; the asset management by material prognosis - a concept introduced by the US Military for upkeep of equipment in good health and start-ready condition. Good health monitoring systems combined with appropriate remedies at maintenance and repair stages have led to improved performance, reliability and extended life cycle of the assets. The mostly used definition is that Tribology is the science and engineering of interacting surfaces in relative motion. It includes the study and application of the principles of friction, lubrication, wear, hermeticity and other process between contacting surfaces. This definition is related to the origin of the tribological science as a separate knowledge given by Prof. H.P.Jost 45 years ago. Looking at tribology from the modern point of view we could say that Tribology is the name given to the scientific concept with embraces processes at surfaces and interfaces, as friction, wear, lubrication, tightness in the contact zone, called also contact body or third body, generally revealing the interaction in contact. There are recently basic reasons for the growing importance of tribology: the control of friction and wear leads to economical and ecological advance, very large energy saving factor, and as most important practical issue - improvement of the reliability and quality - became a recognized topic acknowledged during the last thirty years as an important educational, scientific and technological conception. The attempts to introduce directly physical and chemical methods in tribology are not quite effective. An interdisciplinary approach becomes necessary, combining analytical and computational methods with basic physico-chemical approaches of surface and contact investigation. Let us look in the future. The roots of tribology are in the nature of things. However, tribology is much broader than the physical, natural world. Physics, chemistry, etc. individual sciences are no more enough. There are sciences located on the contact between each other - the interdisciplinary sciences, involving new concepts not found in the traditional sense. Viewed in this larger sense, tribology is extremely healthy and is contributing to our society economically, culturally, and intellectually. Being deep and worldwide, the present crisis of our society embraces in unity economic, political and spiritual crises. The missing thing for the way out of the crisis is an adequate preparation of human thinking, with turning point embedded in the education. The state of science, education and knowledge is basic element of the global crisis of humanity. We have to consider the actual problems of the crisis in engineering education and knowledge on the basis of the interdisciplinary paradigm and the European strategy of sustainable development, while integrating in a unity the assessment of the three components of education: erudition, cognition and teaching. Let's have one more glance in the current crisis with accent in the engineering education. Finding one way out of the crisis in industry could be to teach how to introduce the application of tribological knowledge as instrument for improving reliability and quality of our material assets, as well as of our culture and life. Tribology is an interdisciplinary approach to the solution of problems in the natural and engineering sciences and technology creating complex tools as regards the specific tribological object - the contact body. Here, in the interdisciplinary look at the wholeness, is the biggest chance for spreading our horizon, moreover in different aspects: spiritual, cultural and political-economical. The Society of Bulgarian Tribologists with the assistance of the Technical University of Sofia organized 9th Conference on Tribology with International Participation BULTRIB'12. 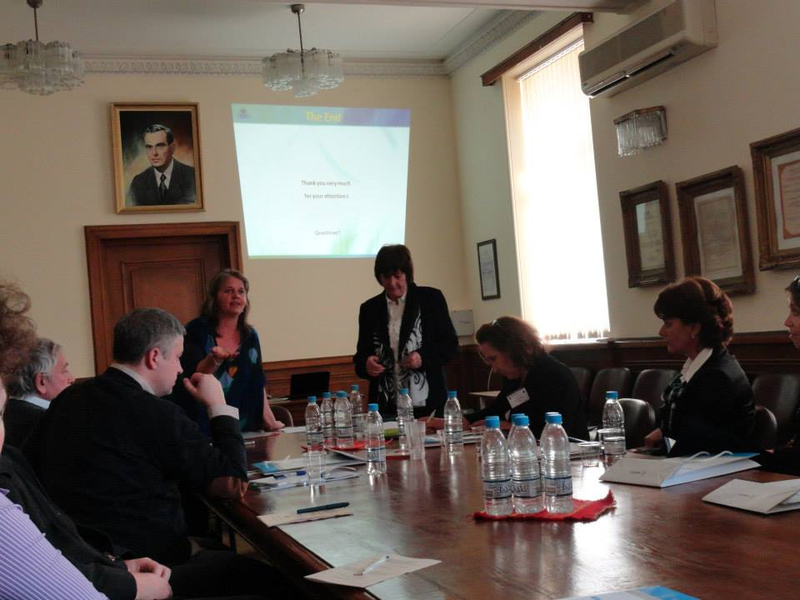 All of the coordinators from our CEEPUS network were included in the Scientific Commitee of the Conference. 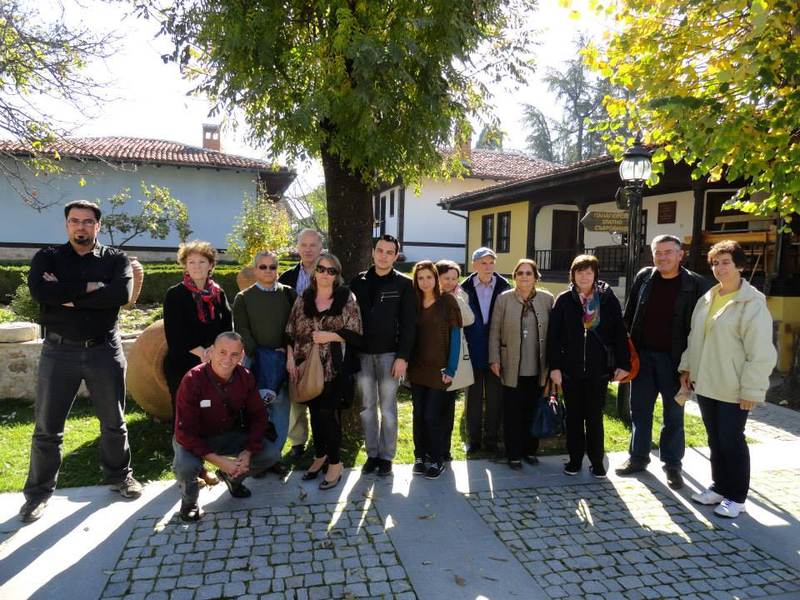 35 delegates from Romania, Serbia, Russia, Greece, Poland, Turkey, Germany, Ukraine and Taiwan, and 52 tribologists from Bulgaria took part with over 70 paper presentations. Young scientists, students and PHD students also presented their works. Network partner universities had broad representation of this scientific forum. The presented papers were published in special isuue of the Tribological Journal BULTRIB and some selected papers were published in Journal of Balkan Tribological Assciation. 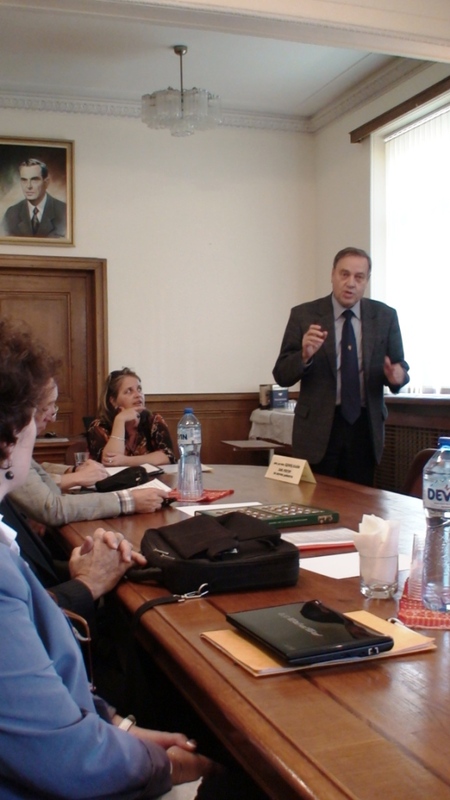 The Conference BULTRIB'12 was dedicated to the 80th anniversary of Prof. DSc. 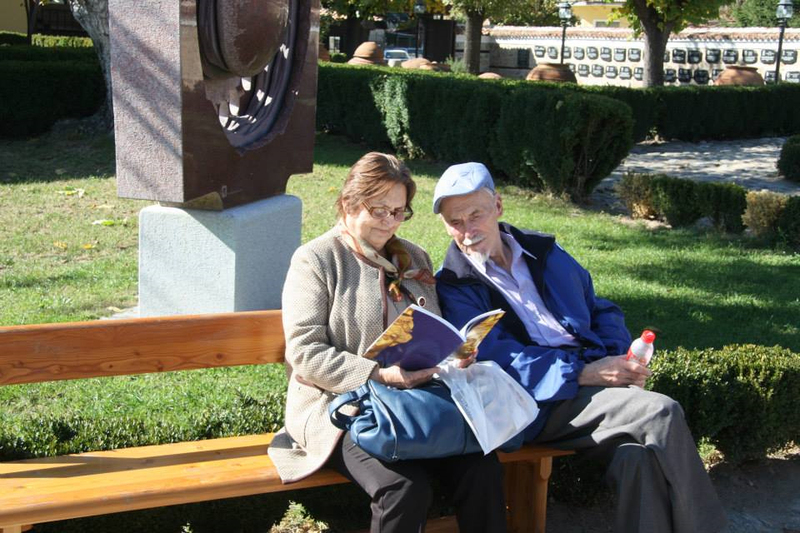 Nyagol Manolov, who is the father-founder of Tribology in Bulgaria. He gained the recognition, confidence and affection of his contemporaries; he exerted great influence on their scientific thinking, and gave his energy and inspiration to one idea - the idea of the contact between science, education and civil society. 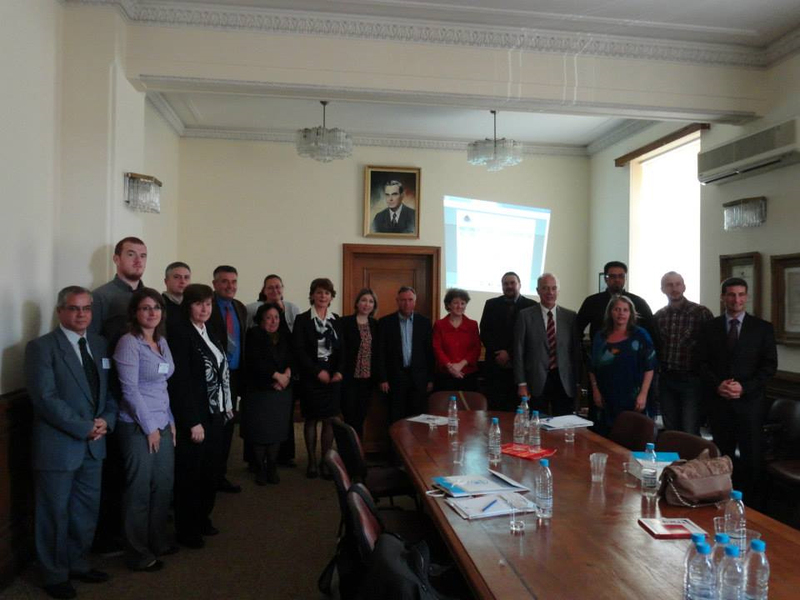 CEEPUS Workshop on the Project of the first Tribology Network, referring to our Project CIII-BG-0703 "Modern Trends in Education and Research on Mechanical Systems - Bridging Reliability, Quality and Tribology", was held in the University of Chemical Technology and Metallurgy, Sofia on 18.10.2012. The Workshop was organized and guided by Prof. Dr. Juliana Javorova. The Workshop was focused on future network activities, as well as preparation and implementation of topics of Joint programs. There have been some discussions related to the role of tribology in the large and complex scope of reliability engineering and the different tribology-related methods to improve reliability and quality, such as reliability design, component lifetime, condition monitoring, diagnostics. Greeting message was addressed by the President of the International Tribology Council Prof. H.P.Jost to the Members of the Organising Committee and all participants of the scientific forums BULTRIB'12 and CEEPUS Workshop for a successful, instructive and enjoyable work. 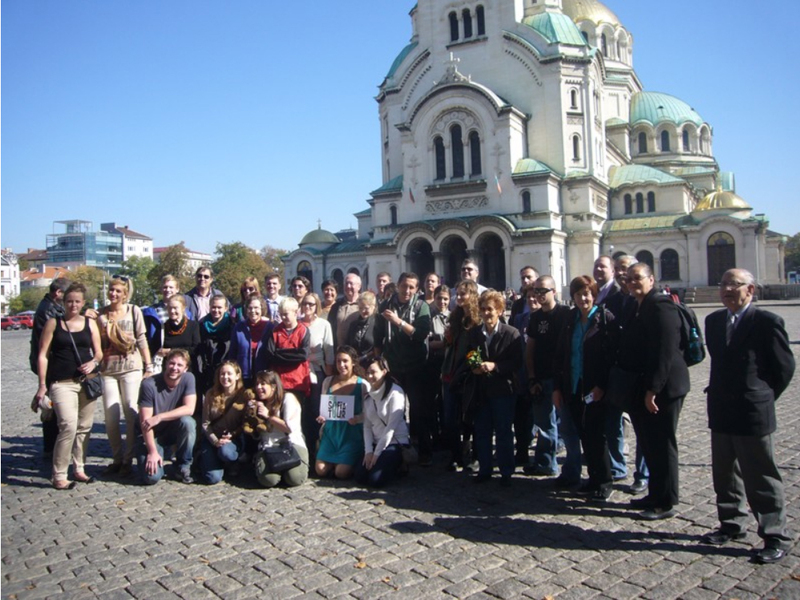 The Society of Bulgarian Tribologists with the assistance of the Technical University of Sofia organized the 10th International Conference on Tribology BULTRIB'13. 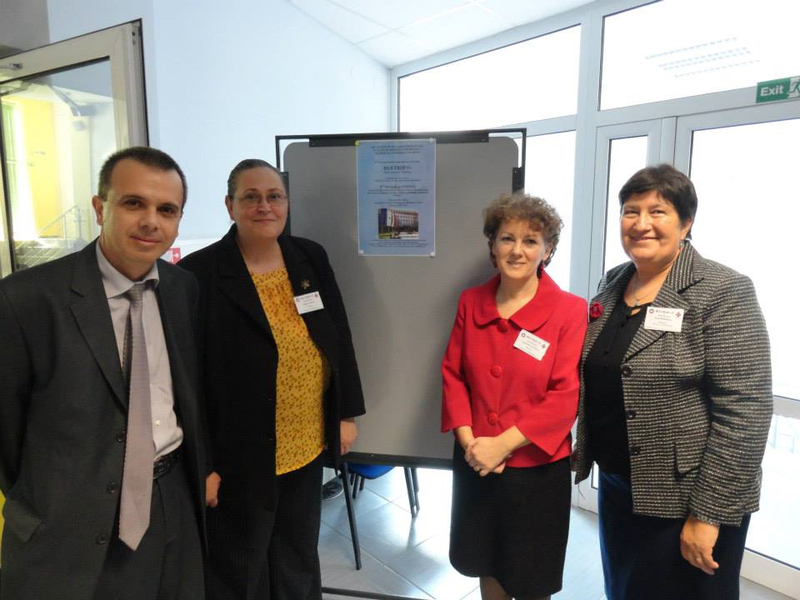 The Conference was held on October 24-26, 2013 in the Library Meetings Center of the Technical University-Sofia. 30 delegates from Romania, Serbia, Russia, Poland, Turkey, Germany, Slovakia, Taiwan, Republic Srpska, Switzerland and Algeria, and 55 tribologists from Bulgaria took part with 46 paper presentations in 4 oral Section Sessions and one Poster Session. 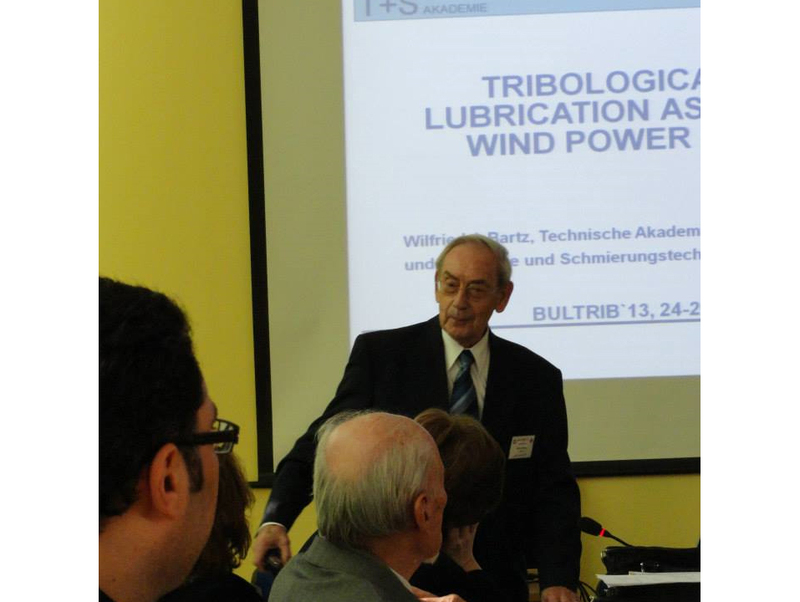 Particular Greeting to BULTRIB'13 and CEEPUS Workshop was sent by the President of the International Tribology Council Prof. H.P.Jost. Plenary papers presented Prof. Nyagol Manolov and Prof. Wilfried Bartz. 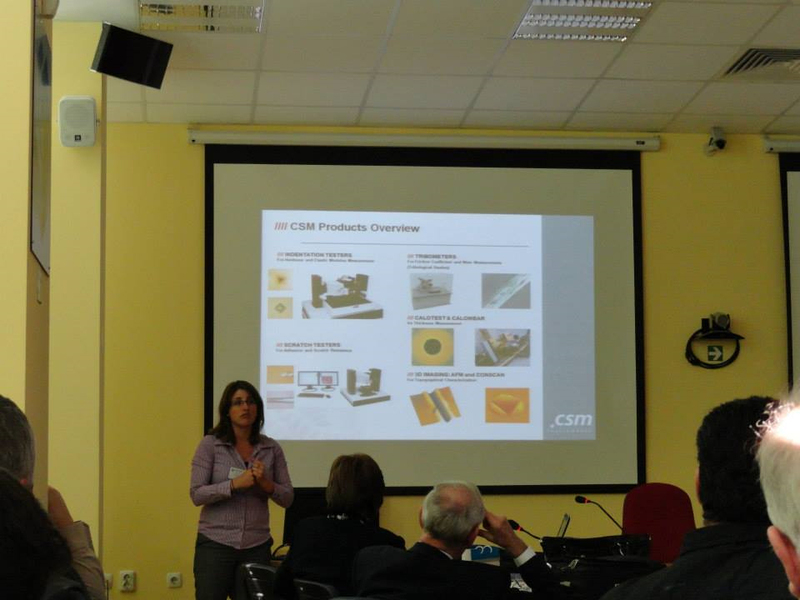 Company presentation of CSM Instruments – Switzerland was done by Fanny Ecarla. The second CEEPUS workshop of the first Tribology Network, referring to Project CIII-BG-0703-02-1314 ”Modern Trends in Education and Research on Mechanical Systems - Bridging Reliability, Quality and Tribology”, gathering 19 European universities of 10 countries was also part of the Conference BULTRIB'12 and was held in the University of Chemical Technology and Metallurgy, Sofia – leading coordinator of the Project. The Project treats the role of tribology in the large and complex scope of reliability engineering and the different tribology-related methods to improve reliability and quality, such as reliability design, component lifetime, condition monitoring, diagnostics. The workshop focused on the e-learning and syllabuses in tribology, quality and reliability in the engineering universities. The project’s website was also discussed. 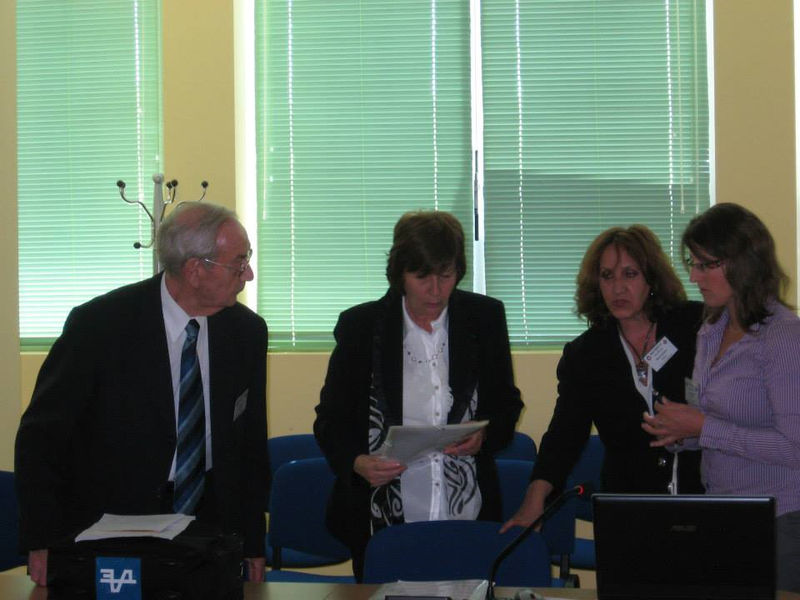 During the days of the conference, two International Faculty Agreement of Cooperation in the field of Tribology were signed between the Faculty of Industrial Technology, Technical University of Sofia, Bulgaria and: the Faculty of Mechanical Engineering, University of Nis, Serbia and the Faculty of Mechanical Engineering, University of Banja Luka, Republic Srpska. 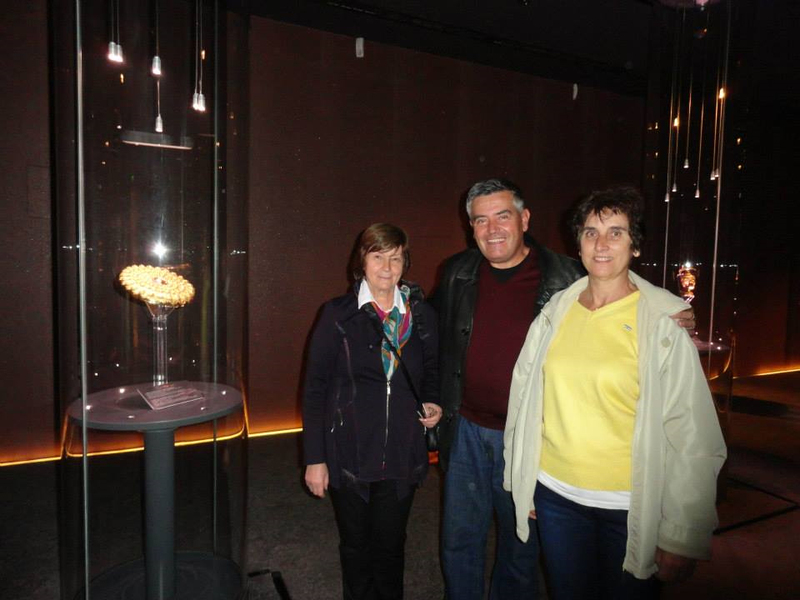 In the last day of the Conference, Ocktober 26th, a Conference Trip was organized with a visit to the Exhibition of Panagyurishte Thracian Golden Treasure and the city-museum Koprivshtitsa. 1. Триботехнологични изследвания на износоустойчиви композитни покрития, нанесени чрез газотермична свръхзвукова струя (HVOF-процес). 2. Трибологични изследвания на износоустойчиви пламъчни прахови покрития, нанесени чрез дозвукова струя. 3. Изследване на ресурса на тънки композитни покрития с никелова матрица, съдържащи наноразмерни частици (диамант, титанов нитрид, силициев карбид и др.) на каландрирани валове за екструдиране на фолиo. 4. Приложение на инфрачервената термография при окачествяване на триенето, износването и смазването в механични системи. 5. Разработване на методика за термографичен анализ на контактни системи в условия на сухо и гранично триене. 6. Изследване на влиянието на размерността и концентрацията на микро- и наночастици върху механичните свойства, микроструктурата и износоустойчивостта на високояки (сферографитни) чугуни. 7. Екологични триботехнологии и техника за повишаване на ресурса на филтри в автотранспорта. 8. Ефекти на самоорганизация в контактни системи в условия на безизносно триене. 9. Водородно износване в контактни съединения. 10. Многокритериално изследване на качеството на композитни покрития при електродъгово наваряване. 11. Приложение на контактния подход при моделиране на механични системи. 12. Триботехнологични изследвания и окачествяване на композитни материали и покрития, смазвани с биоразрушими флуиди; Международен проект между ТУ-София и Университет "Политехника", Букурещ; Първи етап 1 юни 2010 - 31 декември 2011.